Cryptocurrency trading is when a cryptocurrency is exchanged for another cryptocurrency at a defined price determined by the market forces. The purpose spans from people who want to acquire specific altcoins to people who just want to make money on the margin by buying and selling cryptocurrencies. There are various ways crypto trading is carried out. There are exchange websites, desktop applications, and mobile apps. Mobile apps are interesting because they give traders and users the ability to trade on the move through their mobile phone. 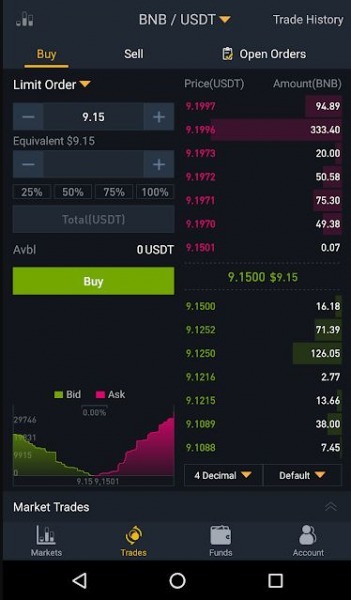 Trades can be monitored and traders can react more quickly to the market with the mobile trading app. This article considers crypto trading mobile apps that offer excellent service. Some are mobile versions of popular exchanges while others are third-party apps and API platforms that connect to several exchanges. It is advised to research into any particular one before choosing it. 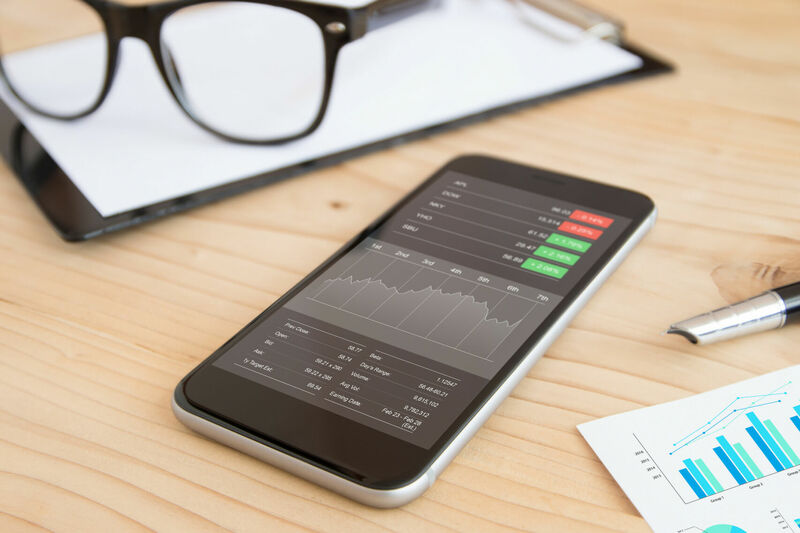 There are many crypto trading mobile apps, but these 5 are worth considering. Binance is a well-known crypto exchange founded in July 2017. The trading platform was made attractive to crypto traders from the onset by the low trading fee and discounts based on its own ERC-20 token, BNB. The Binance mobile app is simple and easy to use. From the app, the user can buy, sell, and view their trade history, open orders, and crypto holdings with their total equivalent value in US dollars. Traders can trade easily using the limit order, market order, and stop-limit functions. 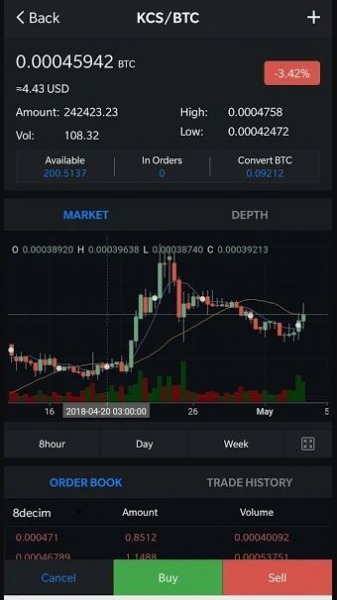 Many who are comfortable with trading on the move find the Binance app resourceful. However, fundamental settings and other advanced functions will require getting on the website. If you are new to Binance, you can read our Beginner’s Guide to Binance Exchange. The Binance app is currently not available on the Apple app store. It used to be available, but was removed about 3 months ago and it is unclear why. However, the MacOS desktop app still remains functional. 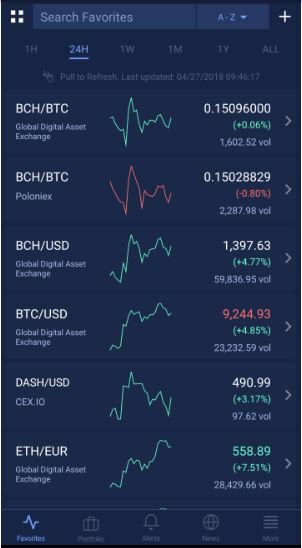 The Android app is fast, easy-to-use and an excellent choice for trading crypto on the move. Binance has over 370 trading pairs on the platform and gives the ability to add favorite trading pairs, providing the user easy access to them. The app has over 1 million downloads already. The Android app can also be downloaded in apk format. KuCoin, famously known as “the people’s exchange,” is a crypto trading platform that intends to make crypto trading easy for nonexperts. The platform offers a 0.1% trading fee which can be paid using the platform’s own token known as KuCoin Shares. The token operates like shares of the company and holders get dividends from the company profits by holding the token. KuCoin has a mobile app for both Android and iOS. The mobile app carries the basic functions of the KuCoin website trading platform, such as access to wallet and basic trading services like buying, selling, deposits, and withdrawals. The app is also notably easy to use. KuCoin has over 350 coins listed on the platform, making it resourceful to get more obscure coins. It also pays GAS for NEO holders, something which only a few exchanges do at the moment. If you’re new to KuCoin, check out KuCoin Review: Beginner’s Guide to Using KuCoin Exchange. 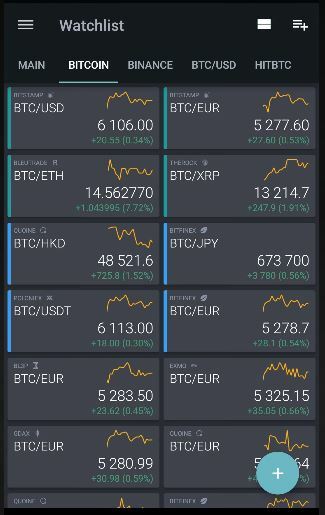 Tab Trader is a free trading terminal for crypto exchanges such as Coinbase, Binance, Bitstamp, HitBtc, Gemini, and 20 other crypto exchanges. It was founded in 2015, and today has over 400,000 users in 178 countries. Traders can trade using limit order, market order, stop-loss, take-profit, and settle position functions over a variety of crypto exchanges. All exchange accounts of users are managed from a unified interface. It also offers push notifications about price events without relying on mobile data. The API keys are kept on the crypto exchange in encrypted form or in possession of the users. This means that Tab Trader does not have access to any user’s funds. Tab Trader is available on Google Play and Apple App Store. Coinigy is a professional cryptocurrency trading and portfolio management tool with extensive charts and real-time market data. Coinigy makes it possible to trade in over 45 crypto exchanges from one account. It is not an exchange like Binance and KuCoin, rather it is a trading tool like Tab Trader. Coinigy has both a desktop app and a mobile app. Coinigy is not free like Tab Trader. It offers a free trial period of 30 days after which a pro trader status can be purchased for $18.66 per month (when paid annually). Professional API access can be purchased for $99.99 per month. The subscription enables users to enjoy unlimited trading with no added fees, high-definition charting, advanced technical analysis tools, and additional security. Coinigy is available on Google Play and Apple App Store. Robinhood is an investment tool designed to make financial markets accessible to the average person. With Robinhood, users can trade US equities and ETFs. In January 2018, the platform added the ability to trade cryptocurrencies. The standout feature of the Robinhood platform is that it is commission-free and requires no account minimum to get started. The Robinhood platform makes it easy to trade seamlessly between stocks and cryptocurrencies. The platform has an instant deposit feature that makes funds instantly available for trading instead of waiting for days after selling stocks. Robinhood has both a desktop app and a mobile app that makes it easy for beginners. The platform requires KYC which takes about 24-48 hours. Users can currently trade Bitcoin, Ethereum, Litecoin, Ethereum Classic, Dogecoin and Bitcoin Cash in 20 states of the U.S. with support for more coming soon. Robinhood is available on Google Play and Apple App store. It must be noted that crypto investments are not insured on the platform like stock investments. With the growing popularity of cryptocurrencies, the number of platforms for trading has greatly increased. More functions are demanded of crypto trading platforms to meet the expectation and desire of traders. All platforms have pros and cons—therefore careful research must be done by traders to know which crypto trading platform suits them best. The 5 crypto trading apps discussed here are chosen based on ease of trading and diversity. There are more in the crypto world today and hopefully, there will be much more in the future. Trade safely! Hello everyone, here i will teach you how to invest your money in the best cryptocurrency trading and earn your money back in thousand folds within 4-5 days after investment made. Minimum investment of $5,000 and earn back $50,550 , $1,000 earned $10,520 every week after trading with best software, strategy and good signal strength . get in touch with a manager on (account.tradingforum@insurer.com) will help you trade and make you great profit as well as access to all funds withdrawal weekly. thanks.Send a message will make you successful . What about Shrimpy.io? It’s far easier to use than these applications. Hi David! Great stuff, indeed. Thanks for sharing. IMO, a universal gateway that allows businesses to accept direct payments in any currency, including crypto, is the best option these days. What do you say about Elegro team and their crypto/fiat payment gateway? As far as I know, the gateway needs no specific know-how to get integrated with an e-commerce platform. It seems very easy-to-use and can be successfully used by businesses seeking new payment options to adopt. If you ask me, I really think gateways of that kind are the future. “The 5 crypto trading apps discussed here are chosen based on ease of trading and diversity. There are more in the crypto world today and hopefully, there will be much more in the future”… Wow awesome reviews Mr. David. Thanks for shedding light on the best Crypto Wallets for consideration, I’m currently using Satowallet Exchange App and since I came across this as a newbie, my trading experience has been so seamless. With Satowallet Exchange App, the features you talked about in your article are here already. I think you should study this wonderful Exchange App and give your honest review on it. Looking forward to it. Crypto traders are increasingly shifting towards mobile platforms as new tools can help them gain insight, hone their skills without risking a dime and ultimately trade their portfolio. Below are the top three apps that gained popularity and positive reviews among users.